The life of Alan Turing is being celebrated on the big screen this month. 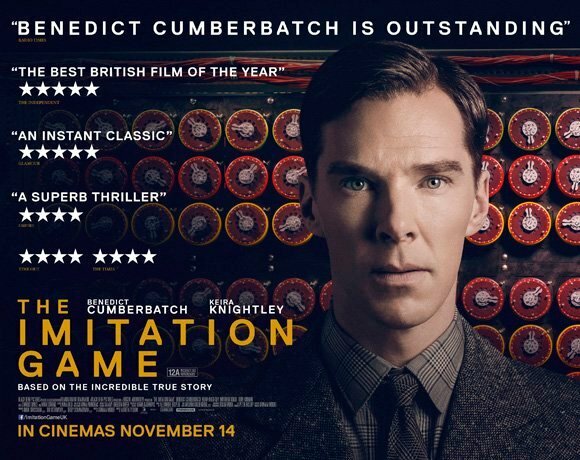 The Imitation Game from Studio Canal opens on November 14th 2014 and tells the story of the war hero who’s achievements until recently were largely unknown. Turing (played by Benedict Cumberbatch) led a group of scholars, linguists, chess champions and intelligence officers in breaking Germany’s World War II Enigma machine, and in doing so shortening the war by two years, thus saving countless thousands of lives. Written by Graham Moore and directed by Morten Tyldum, respected British actor Benedict Cumberbatch plays Turing, alongside Keira Knightley, Charles Dance, Mark Strong and Matthew Goode.